A lot of younger Greek citizens who would vote NO cannot for to vote they must return to their hometown. So many cannot vote because they are lucky enough to be working or through necessity are living abroad and are not able to return to their homes. This is one regulation to prevent the NO vote from materializing. 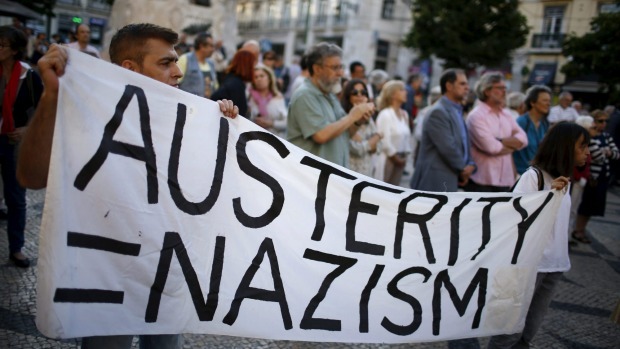 There are numerous NO demonstrations all over Europe, with Portugal getting the most press in Greece. This type of oppression of the democratic process is what creates civil unrest. You cannot win by rigging the game.